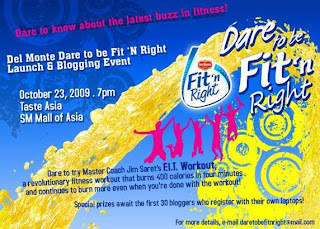 Posting an invite from Delmonte's Dare to be Fit 'n Right promo for blogger-runners. On October 23, Friday 7 pm, Del Monte Fit ‘n Right will launch its newest campaign Dare to be Fit ‘N Right in Taste Asia at the SM Mall of Asia. The Dare to be Fit ‘N Right launch will be a bloggers event that features the revolutionary F.I.T workout by sports scientist and Master Coach Jim Saret. Coach Saret obtained his MS Sports Science degree from Brigham Young University in the US. He is a core training expert and a sports and fitness writer and lecturer. Currently, he is the Sports Program Head of the Ateneo de Manila University and the Strength and Conditioning Coach of the PBA, POC, and the PSC. L-Carnitine is a natural substance that is occurring in the body but can be supplemented for optimal health. It transports the fatty acids into the mitochondria, the “cell’s powerhouse” where they are burned into energy needed for a healthy heart, important body functions and physical activities. Supplementary L-Carnitine contributes to optimal fat oxidation, and along with a proper diet and regular exercise, promotes healthy body weight. A clinical study done by the University of the Philippines through Dra. Leonora Panlasigui and company has proven the effectiveness of Fit ‘n Right. In that study, it was found that one can lose as such as 16.7% body fat in just 6 weeks with regular consumption of Fit ‘n Right, diet and exercise. There are studies that indicate that 1000mg per day is ideal in helping you lose weight along with proper diet and regular exercise. Each Fit ‘n Right bottle contains 300mg and the recommended daily intake is at least 3 bottles, at least 2 hours before exercise or physical activity to maximize the fat-burning benefit. B Vitamins 1, 6 and 12 are known as energy boosters and they help reduce fatigue and increase endurance by facilitating conversion of carbohydrates, protein and fat into energy. With L-Carnitine, B Vitamins can optimize metabolization of carbohydrates, protein and fat into energy. Now, who says you can’t have fun while working out and losing all those calories and unwanted fats? Who says you can’t have a refreshing way to burn? Dare to be the first to try the F.I.T Workout. Dare to be the first to know about it. Dare to be fit. Dare to be right. But, the F.I.T. Workout is only the beginning. Running is arguably the popular sport these days. Every week, marathons and fun runs are organized with thousands of loyal runners joining. Some do it for the run-induced high, others for a social cause they support but ultimately runners do it because it’s fun and a good total body workout! Del Monte Fit ‘N Right continues its commitment in promoting a healthy lifestyle with the Dare to be Fit ‘n Right culmination fun run on November 22 in SM Mall of Asia. 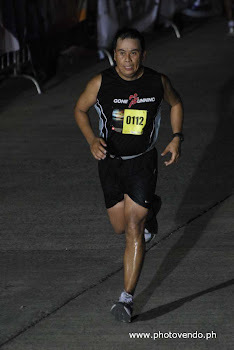 Official race call time is at 4 am in front of SM MOA Music Hall. The 3K/5K/10K Men’s and Women’s Open will benefit the victims of typhoon Ondoy and Pepeng, among others, through the SM Foundation. · Dare to be Fit ‘n Right booths in selected SM Hypermarkets: Mall of Asia, Sucat, Pasig, and North EDSA.